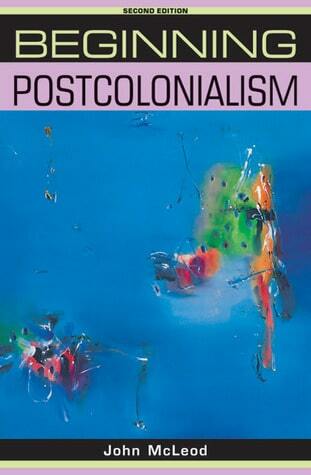 Beginning Postcolonialism by John McLeod was quite good as a starting place for understanding major currents of thought, major debates, and the principal theorists as well as literary figures. For a long time I’ve always felt a bit of disdain for these kinds of introductory books, I’m not sure where that comes from. I think from auto-didactically reading some of the ‘classics’ and finding them so very different from how they were taught me in my early years in school. But as a place to begin, not end, in developing my understanding this was very helpful indeed, and will be worth going back to once I’m a little further along. In terms of learning on one’s own, I actually quite appreciated its format of exposition interspersed with sections highlighting key questions for consideration, and the way it walked the reader through a couple of key theoretical and fictional texts to better illustrate the methodologies used. Ideology assigns him a role and an identity which he is meant to internalise as proper and true, and he is made subject to its iniquitous and disempowering effects, both psychologically and socially. Of course McLeod also summarises the critiques of Said: that Orientalism is ahistorical, that it ignores resistance by the colonised, that it ignores resistance in the West, that it ignores the significance of gender. So of course there is room here to maneuver. All fail to achieve to fixity, but it is interesting to think of stereotypes in this way. involves us in actively choosing to use a concept which we know is flawed, often as a way of challenging the very system which has fashioned that concept in the first place, (222). I like this mix of theoretical rigor and bowing to practicality, I’ve always meant to try reading Spivak again. I like how much of the postcolonial debate is about how we move forward without erasing the past, about finding the points of hope without turning away from past points of despair. Gilroy’s answer lies in the ways in which different cultural practices circulate in the black Atlantic between groups in different locations, creating contingent transnational forms of community. ‘Solidarity through difference’ can be built by plotting the ways in which diaspora peoples in any one location draw upon the resources and ideas of other peoples in different times and places in order to contest the continuing agency of colonialist, nationalist or racist discourses at various sites(267). This is the hope for the future, this, and as the conclusion emphasises, the habit of ongoing dialogue and reflexivity within the discipline.